While to the untrained eye Perfume as Practice has seemed dormant over the last few months, in fact the opposite is true; in reality I have been spending time navigating a course of action for 2019 – securing exhibitions, sourcing workshop venues and enquiring about delivering talks and lectures. Thankfully, this has already resulted in a rather full diary for 2019 which I am already eager to get on with. As important as providing information about your ideas, processes and concepts, the technical aspects of your work should also be thoroughly explained. Do you need power? Do you have insurance? How do you intend to hang and curate your work? Do you have your own tools? Explaining such things may be a little boring, but it shows that you have carefully considered every inch of your project; and that’s the kind of professional attitude that galleries look for. 2. What else can you provide? This may not apply to everyone, but I have found that providing a schedule of events to co-inside with an exhibition advantageous. 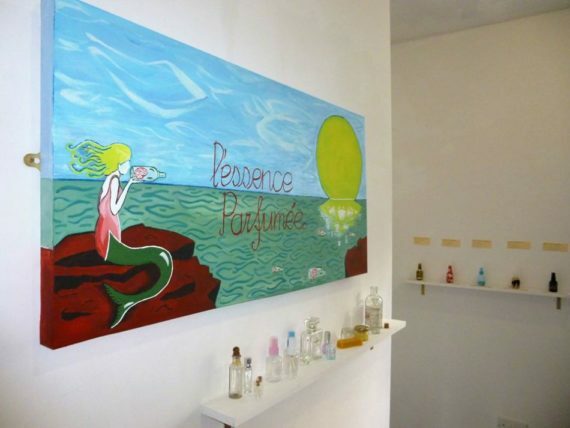 Particularly as in my case a perfume making workshop taps into an art form that is little explored by contemporary art. I also offer artist talks and opening evenings, which are great for directly engaging with an audience. 3. Just go for it! Galleries are usually more accommodating than they might initially appear and if the project you are proposing strikes a chord with them, there is every change they’d be interested in running your show. Don’t forget that behind glossy websites and online forms lies a person – or group of people – who are no doubt eager to provide you with a supportive platform and may well help you through the application process if you need it.